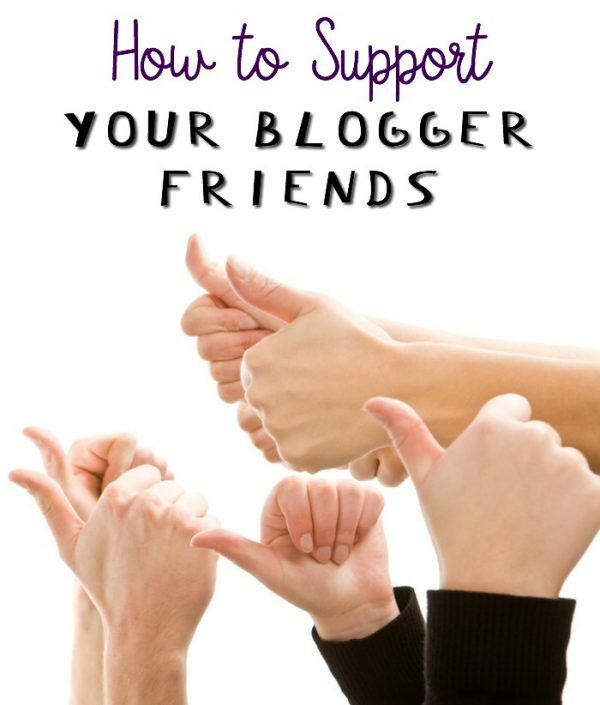 So, your friend is a blogger, and you wonder how to support a blog. When I started blogging none of my family and friends even knew what a blog was. Neither did I for the most part, but that’s another story. If your friend or family member opens a new business, it’s clear on what you should do – visit their shop, tell your friends about it, pass out business cards, etc. Well, it’s not all that different when it comes to a blog. Visit often, send people, and pass out cards, it’s all just a little more virtual. This post contains affiliate links. Start Twitter lists and add a column to TweetDeck – I usually have TweetDeck open in a tab. I have a column with just my bloggy besties’ handles. I like to pop over to that tab throughout the day and randomly retweet them, or start up a little twitter conversation. Subscribe to them – Clearly, subscribing to your blogger friend’s newsletter is much appreciated. Follow them everywhere you can, but the newsletter is definitely a biggie. Pull them out of spam – Once you subscribe to your blogger friends, you may notice some of their newsletters will end up in spam. Not sure why this happens, but by hitting that “not spam” button, it helps prevent it from happening further. Randomly share – If you like an article, share it. Seriously, there’s no bigger compliment to a blogger than sharing our posts with your circle. Just please include a link back. Don’t just grab an image and share without a link. We need traffic to survive in this gig. Like their Facebook posts – This goes along with the above suggestion, but there’s a reason it’s even more important on Facebook. Facebook’s algorithm only allows certain posts to show up. So, just because you “like” your favorite blogger’s Facebook page, doesn’t mean you will see all their posts. When you do see something in your feed, like it, share it, comment on it, etc. Engagement on a post helps that blogger’s page show up more frequently. A lot of people have given up on Facebook, but with a little help from our friends, it can be a great sharing tool. Let the blogger know about typos – A lot of people are nervous to let someone know if they see a mistake. Allow me to speak on behalf of most bloggers, and tell you we appreciate the heads up! I obsessively proofread my posts and use Grammarly, and I still end up with oopsies. It happens. It’s so hard to see your own mistakes sometimes. We all make mistakes, so no one should get upset if you let them know you caught something. Tell them if you are lost – A lot of us bloggers are so involved with our tribe of other bloggers that we forget what it’s like for a non-blogger to visit our sites. If you find their website to be a confusing hot mess, let them know. I had someone tell me, “I don’t know what to do on your blog.” Trust me, I am not offended. I want clear navigation and smooth readability for everyone. Pass out business cards – Most bloggers have business cards. If they are anything like me, they buy 2,000 cause of a good deal and then they don’t love them when they arrive and want to give them out in stacks. Carry a few with you to pass out if it makes sense to do so. A lot of us bloggers make a living off of our blogs. They are our businesses so we appreciate any love you can toss our way. Do you have any ideas on how to support a blog you love? So true that is! That’s definitely a point I should have addressed. Quality comments are very important. I’d rather have no comment than one that only says “nice post”. I do this with several of my blogger friends. I wish Facebook would let us do a Tweetdeck. I had one kinda like that before with a list but it got too hard to handle. Might have to restart a group! Using Tweetdeck would make it a lot easier! I wish they would add that feature, too!